Read about this incident and others in the latest Mt. Laurel Township Police Report. At 5:08 p.m. on April 7, Mt. Laurel Police received a phone call reporting a man threatening his brother with a handgun. According to police, officers responded to an address on Chadbury Road where the crime was reported to be taking place. Upon arrival, police say the investigation revealed that no such event had occurred and that the caller was from outside of the United States. According to police, the call appears to have been motivated by a financial extortion scam. Police say the victim had been contacted and threatened by the suspects in the past and had sent them money. When the victim didn’t respond, police say suspects made the false report of the violent crime in progress. According to police the investigation is still ongoing. · At 1:10 p.m. on April 14, Mt. Laurel Police responded to the parking lot of the Cracker Barrel restaurant on Route 73 to check on the well being of a person in a vehicle. The investigation revealed that Shawn J. Castellanos, age 29, of Camden, was smoking drugs with an infant in the vehicle. He was arrested and charged with child cruelty, possession of crack cocaine, being under the influence of a controlled dangerous substance, and possession of drug paraphernalia. He was committed to the Burlington County Jail. · Between April 13 and 14, someone broke a window on a vehicle parked at 704 Fellowship Road and stole cash from inside. · At 10 p.m. on April 13, Mt. Laurel Police located five juveniles from Moorestown at a vacant farmhouse owned by the township on Hooton Road. The group was attempting to force open a side door to the building. The group was turned over to their parents. · At 7:42 p.m. on April 13, Mt. Laurel Police responded to the Home Depot on Nixon Drive for a shoplifting report. The investigation led to the arrest of Giorgi Zedginidze, age 31, of Rosendale, Md. He was charged with shoplifting $339 worth of merchandise and possession of a controlled dangerous substance. He was released pending a court hearing. 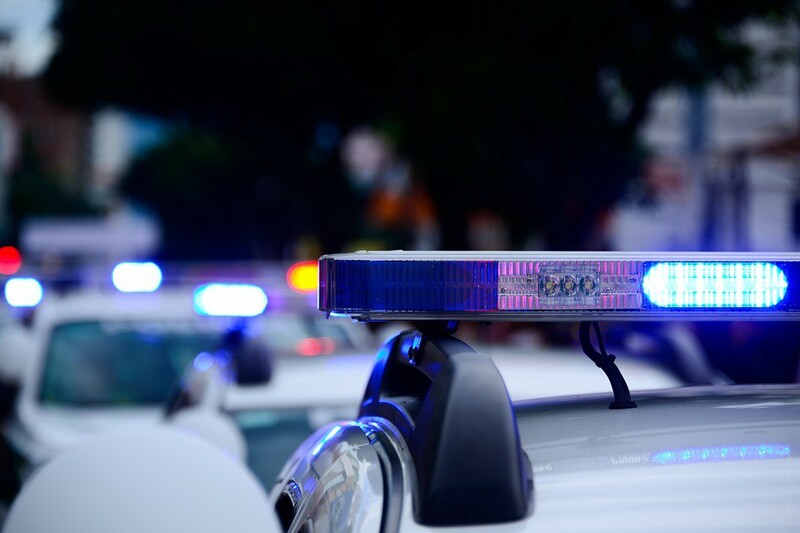 · A resident of the 4900 block of Dunbarton Road reported their vehicle was purposely scratched on the driver’s side and passenger’s side of the vehicle between April 12 and April 13. · A resident of Neils Court reported cash was stolen from a wallet that was left in an unlocked vehicle between April 12 and April 13. · At 9:43 a.m. on April 12, Mt. Laurel Police located an occupied suspicious vehicle in the parking lot of a hotel on the 1100 block of Route 73. During the investigation, officers arrested Luis Martinez, age 30, of Camden, and Perla B. Salomon, age 33, of Kennett Square, Pa. Martinez was charged with possession of less than 50 grams of marijuana and turned over to the Camden County Jail for outstanding warrants. Saloman was charged with possession of less than 50 grams of marijuana and possession of drug paraphernalia. She was released pending a court hearing. · A victim reported that someone entered her unlocked vehicle and stole cash and credit cards while it was parked at Spenser Park in Rancocas Woods. The theft occurred sometime before 3 p.m. on April 11. · At 7 p.m. on April 10, Mt. Laurel Police responded to the McDonald’s on Route 73 for the report of counterfeit money being used. The investigation revealed that three women purchased food using two counterfeit $20 bills. The store manager confronted the women who then paid their bill with real currency and left the store prior to police arrival. The counterfeit money was turned over to the police. · At 5:12 p.m. on April 10, Mt. Laurel Police conducted a motor vehicle stop on Route 73 near Clover Road. During the stop, officers arrested Joseph Humphreys, age 59, of Bayonne. He was charged with driving while intoxicated and released pending a court hearing. · At 9 p.m. on April 9, Mt. Laurel Police responded to Malvern Court for a disturbance. Officers found a 36-year-old male resident of Southampton swimming in a pond just off of the court. The man was agitated and refused to exit the water. The investigation determined that he had multiple warrants for his arrest. After approximately 30 minutes the man was coaxed out of the pond. He was placed under arrest and transported to a local hospital for a medical evaluation. · On April 8, a resident reported that they were a victim of a fraud. The victim made arrangements to purchase a vehicle on Craigslist. The seller asked for payment in the form of Amazon Gift Cards in the amount of $2000. The victim purchased the gift cards and sent the information to the seller and was told the vehicle would be delivered on April 7. The vehicle was never delivered and the seller cannot be located. · At 11:10 a.m. on April 9, Mt. Laurel Police conducted a motor vehicle stop on Larchmont Boulevard near Saxony Drive. During the stop, officers arrested Debrina L. Larkins, age 36, of Mt. Laurel. She was charged with hindering her own apprehension after she provided a false name in an attempt to avoid arrest for a warrant. She was charged with hindering and released pending a court hearing after she satisfied her warrant. · At 7 p.m. on April 8, Mt. Laurel Police responded to a residence on the 5600 block of Essex Lane for a disturbance. The investigation revealed the resident was hosting a party when an argument broke out. The argument escalated into t a physical altercation and the throwing of a stone through a window. None of the involved persons wished to pursue charges at the time of the call. · At 10:35 a.m. on April 8, Mt. Laurel Police responded to the Beneficial Bank on Church Road for the report of an electronic skimming device installed on an ATM machine. The skimming device was removed and it appears no information captured by the device was recovered by the person who installed it. The Mt. Laurel Police are working with the United States Secret Service, Beneficial Bank Investigators, and other law enforcement agencies in this investigation. · A resident on the 2900 block of Tarnbrook Drive reported that between April 2 and April 3 someone slashed a tire on their vehicle. · Between 1:30 and 3 p.m., a victim reported that money was stolen from an unlocked locker in the men’s locker room of the YMCA on Centerton Road. · Between 9 and 9:50 p.m. on April 7, a vehicle parked behind 3131 Route 38 had a rear window broken.